Providence Theological School is listed as a non-profit member of the United States Distance Learning Association (USDLA). The USDLA is the nation's leading organization in the field of electronically mediated instruction for Education, Corporate and Government training which was founded in 1987. 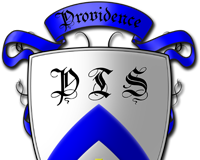 Providence Theological School is an approved member of the Association of Independent Christian Colleges and Seminaries. The AICCS is a non-profit association of independent Christian colleges and seminaries committed to academic excellence, intellectual freedom, ethical conduct, and moral integrity. AICCS was chartered as a charitable corporation in the State of Missouri to help establish, support, maintain, and promote the development of non-traditional, modular, and private tutoring/mentoring methods on-campus, and audio/video-taped, on-line, and other distance learning methods off-campus. AICCS fosters flexible, experimental, innovative, personalized learning alternatives, as well as traditional post-secondary and graduate-level educational modalities. AICCS-affiliated schools offer degrees which are absolutely legitimate, totally honorable, widely respected, and generally accepted within the Christian community. For those universities that seek Federal Government educational funding, accreditation by an agency recognized by the Department of Education is required. Providence Theological School has not applied for any accreditation that would be recognized by the US Department of Education, nor would it qualify for such accreditation due to its non-traditional status. As a theological school, we are not required, by the U.S. Dept. of Education, to have regional accreditation. As such, our educational programs are not intended to qualify our students for either governmental or secular certification. 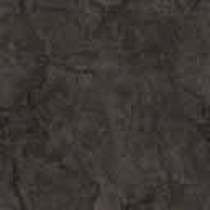 However, legally, our degrees are classified as "theologically accredited" and state authorized as exempt, which fully qualifies all Theological and Ministerial degrees from Providence Theological School to be recorded professionally both on your resume, buisness cards and in personal employment records. Christian educational ministries are traditionally exempt from the dictates of both the Government and secular accreditation agencies. Providence Theological School, like many other Christian education ministries, has theological accreditation which is recognized and respected as an acceptable form of accreditation for those in ministry.